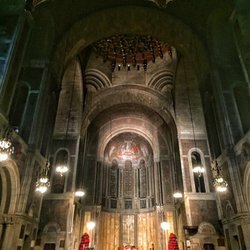 We are proud to present the winner of our Young Artist Concerto competition, and more, in the beautiful space of Saint Peter's in midtown NYC. Four high-level young soloists competed strongly in the finals, and the winner this year is Ms. Jiaxun Caroline Yao, cellist, who will perform the cello concerto by Edward Elgar, Op. 85. 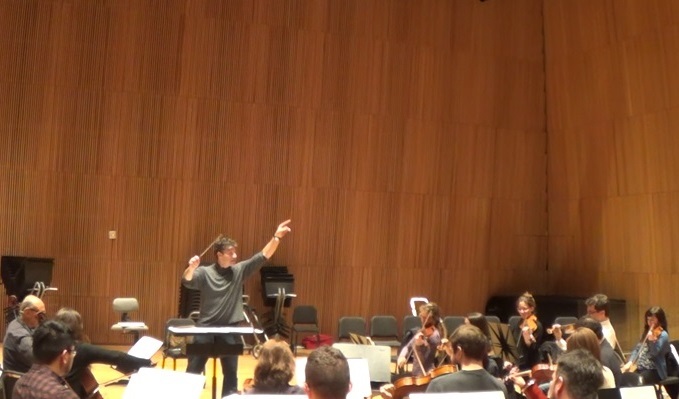 Also on the program will be an exciting new work by composer Balint Karosi (2018) featuring Hungarian clarinet soloist Gábor Varga, and the youthful Serenade for orchestra by Leó Weiner, Op. 3 (1906). Concerto applicants Click here for info. Wednesday March 13 at Saint Peter's Church. Stay tuned for concert details. 296 Ninth Avenue NYC 10001, 7:30 PM. Concert, and reception to meet the artists following the concert! Introducing the first-place winner of our 2017 Young Artist Concerto Competition: Noam Ginsparg, cellist. 601 West 114th St., on Broadway. 8 PM. Thank you Lucid Culture for the nice review of our Jan 22 concert: Read the review. NY premiere with soloists Heather Buck, Blythe Gaissert, Raul Melo, and Stephen Bryant. New orchestration by D. A. Grunberg. Mar. 10, 2017 Our "Heart of Hungary" concert featured the U.S. premiere of Balint Karosi's concerto for guitar, cimbalom, and harp. Nov. 11, 2016 "Awestruck, Transcendent, Epic Grandeur" Read the review. 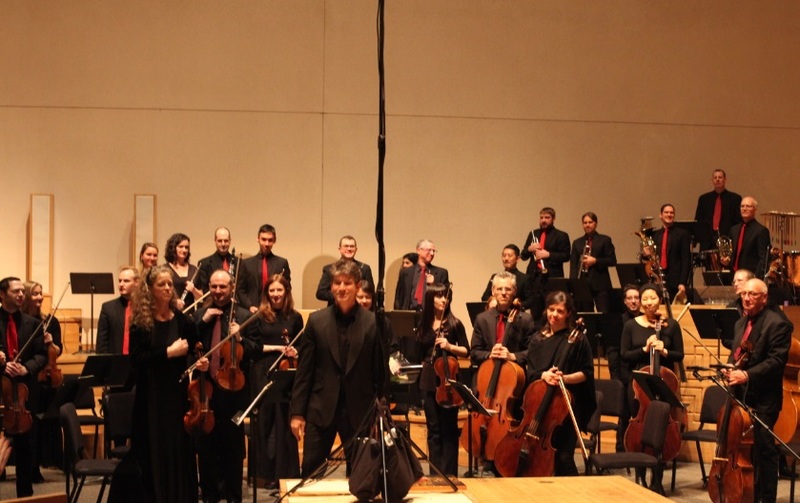 "Organ Concertos" concert featured the world premiere of Balint Karosi's concerto no. 2 for organ, percussion, and strings and the Poulenc concerto for organ, strings and timpani. Jan. 14, 2015 "Soloist Gerard Reuter’s alternatingly dancing and richly resonant oboe fueled Mozart’s Oboe Concerto, K.314 over a lush backdrop equally infused with stateliness and joyously precise teamwork." - New York Music Daily. / Hear it on Soundcloud. "The Spectrum Symphony of New York put on a tremendous performance ... " Click to read the review. Brahms : Double Concerto with Artur Kaganovskiy and Miho Zaitsu, soloists. Beethoven : Symphony no. 3 in E flat "Eroica"
Spectrum Symphony is a professional symphony orchestra whose mission is to present concerts that break down barriers between performer and audience, by presenting works of living composers alongside the classics.